Despite — or perhaps because of — the fact that this prescription would have worked perfectly, it has been resisted by most conservatives, from that era until the present, who have seen nothing wrong with expanding the power and reach of government agencies as long as they were in the “right” hands. Chodorov’s insights come irresistibly to mind as I read and listen to conservative jeremiads over the impending end of the Pentagon’s “Don’t Ask — Don’t Tell” policy regarding military service by homosexuals. Since the constitutional confederacy we supposedly inherited is not supposed to be burdened with a standing army, why are we even discussing the question of whether homosexuals should be permitted to serve in the same? 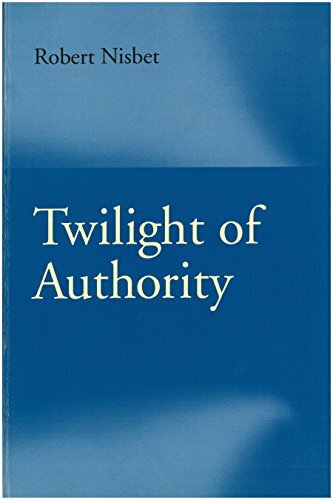 The kernel of Chodorov’s insight, it seems to me, is this: Conservatives tend to bemoan what is being done to various federal agencies when they should focus instead on whether they should exist in the first place. It’s for this reason that conservatives are scandalized over what the Gay Lobby wants to do to the military, when the real outrage is what is being done with it — or whether that immense, costly, and destructive federal bureaucracy should exist, at least in its current form. Given that the U.S. military — an instrument of mass destruction controlled by the imperial clique ruling our country — has become a greater force for evil than the Red Army was in its prime, what parent possessing a scintilla of common sense and even a particle of moral wisdom would permit his child to enlist? Would the lives of children brought up in homes defined by “fundamental morals and religious values” somehow be incomplete if they were deprived of the opportunity to kill and tyrannize the hapless residents of countries that have done ours no harm? There are much worthier pursuits for capable, idealistic children brought up in Christian homes. Serving people abroad as a missionary on behalf of the Gospel (as distinct from promoting the interests of various ecclesio-Leninist corporations called “churches”) is an option that offers considerable opportunities for adventure untainted by bloodguilt. “What is in the first instance licensed, as it were, by war stays on to develop into forms which have their own momentum,” he concludes. Rather than encouraging their children to enlist in the military, parents concerned about preserving traditional morality should do everything they can to minimize their children’s exposure to the institution. As Dr. Allan Carlson of the Howard Center points out, the United States military could be considered the single greatest source of cultural subversion in American society. It is, in his phrase, “an engine of social change,” including radical alterations of conventional mores and the structure of the traditional family. Dr. Carlson observes that between 1941 and 1972, “over half of all American males served in the active-duty armed forces” — an unprecedented state of affairs. During that same period, the state grew immeasurably in terms of both size and intrusiveness, and the “fundamental morals and religious values” of American society came under relentless attack. Carlson makes a compelling case that these developments are intimately related. “When one examines the military’s role in stimulating government action or innovations that later become institutionalized, the effect of war in driving social revolution grows evident,” maintains Dr. Carlson. U.S. involvement in World Wars I and II did a great deal to foment the Sexual Revolution. Writing in 1993, Carlson described “Don’t Ask — Don’t Tell” — “Bill Clinton’s contemporary efforts to use [the military] for a new kind of experimentation” — as merely the latest manifestation of ongoing institutional efforts by the military to undermine the conventional family structure. It is the military’s usefulness as an engine of compelled cultural change that has long made it an attractive target for those who follow Antonio Gramsci’s design for social revolution. Since he died long before Gramsci was born, James Madison wasn’t familiar with that revolutionary theorist’s concept of the “war of position” and the use Gramsci’s disciples would make of a large, lavishly funded standing military. Had he been given foresight to anticipate this particular use of the military, Madison most likely would have added it to his justly famous indictment of the warfare state as the most fearful enemy of liberty. Does he really mean to suggest that “all military orders” are “to be acted upon swiftly [and] carried out without question”? Is it his opinion that permitting homosexuals to serve openly in the military would undermine the institutional discipline needed to continue fighting undeclared, illegal wars of aggression abroad? Would homosexuals infect the military with a virulent strain of “moral relativism” that would make it less effective as an instrument of domestic regimentation if and when outright martial law descends upon our country? Are we to fear that the end of “Don’t Ask, Don’t Tell” would hinder military efforts to confiscate civilian firearms here, employing methods that have been used (with varying levels of success) during occupations of Somalia, Haiti, Bosnia, and other countries? Should we strive to make sure that the ranks of military torturers are kept free of homosexuals, lest their valuable work become morally suspect? Were he with us today (and his absence is keenly felt) Frank Chodorov might point out that militarist conservatives and their leftist counterparts champion a monolithic military establishment because they all worship power. A military that acts in strict obedience to constituted authority is more susceptible to top-down subversion. It is precisely the tendency of military personnel to act on orders swiftly and without question that makes the military so attractive to those who wish to reconfigure American society. And as Nisbet pointed out, it’s hardly a coincidence that the cultural onslaught against conventional morality has escalated dramatically since U.S. involvement in the two world wars and the creation of the National Security State in 1947. Traditionalists are understandably concerned about the damage that results when the military becomes a tool of radical social engineering. But they are so bewitched by appeals to nationalist and jingoist impulses that they fail to see the central role of the military establishment in fomenting the social changes they deplore. This isn’t a problem we would be dealing with if we didn’t have an immense standing military with a global license to meddle and an increasingly visible role in domestic policing. Given all of this, we really should apply the Chodorov Principle: Rather than trying to sanitize an armed bureaucracy that really shouldn’t exist, why don’t we abolish it?